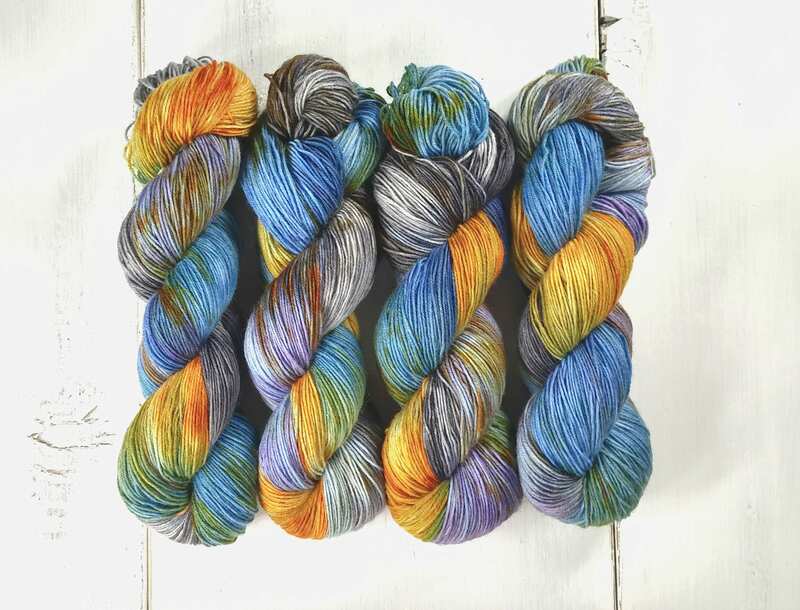 Hand dyed sock yarn. 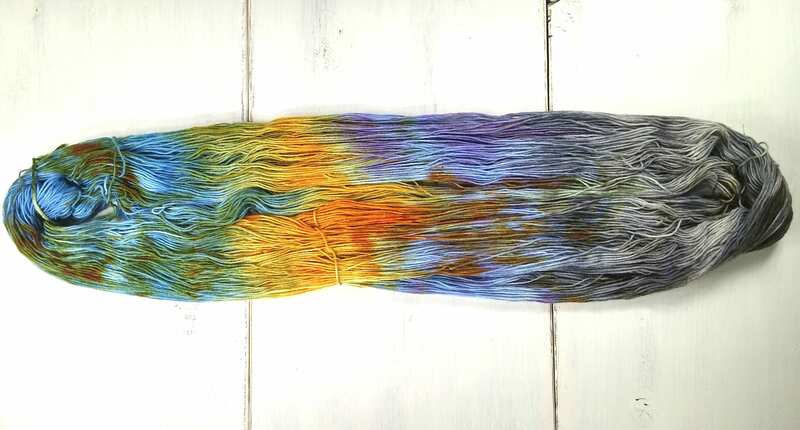 This yarn is dyed in a combination of light blue, dusty teal green, rusty orange, purplish blue, and dark to light gray with light speckling of bright orange. 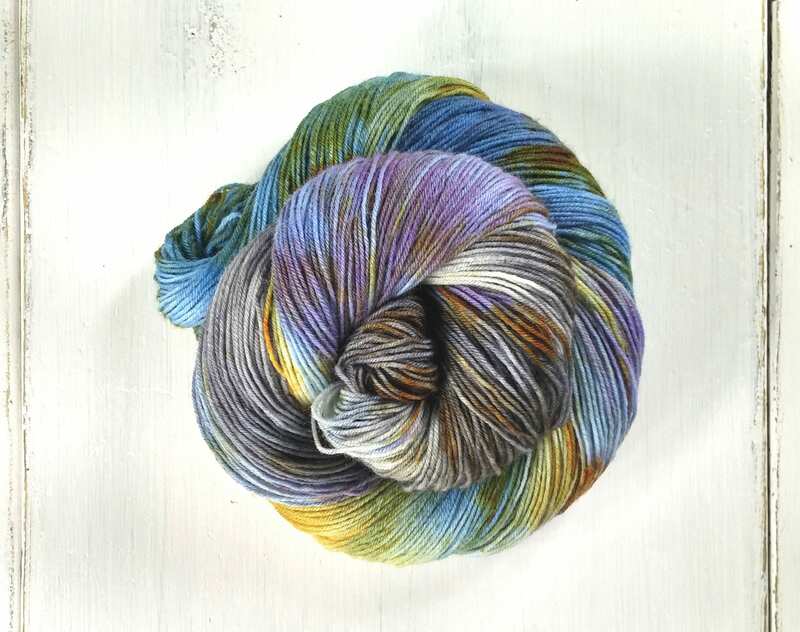 This listing is for 1 skein of BFL Staple Sock. This colorway can be finicky due to the techniques used to dye it. It relies on different colors splinting apart making every batch and skein unique. I think it adds to the character and beauty of the colorway and I hope you agree. I highly suggest ordering enough yarn for your project at one time and alternate skeins if you are using more than 1. 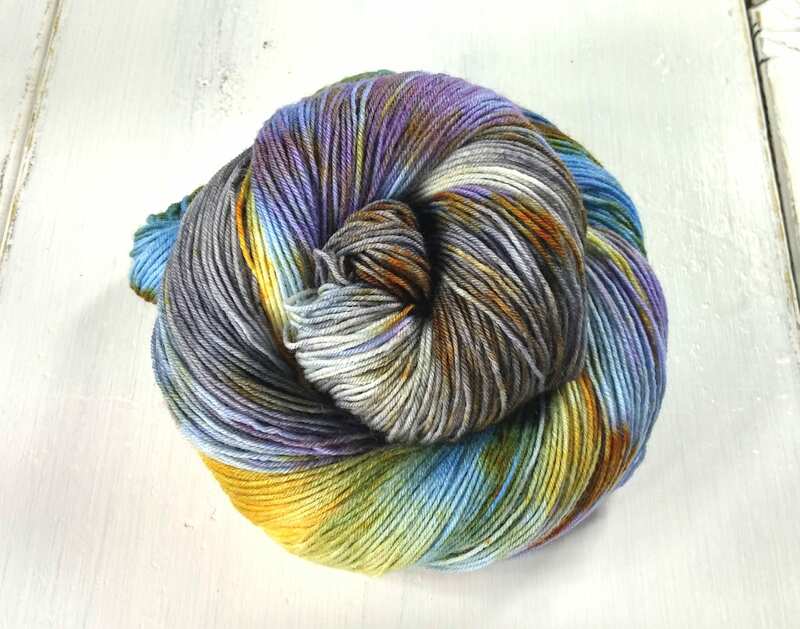 The pictures on this listing have been updated to the actual dye lot currently available.